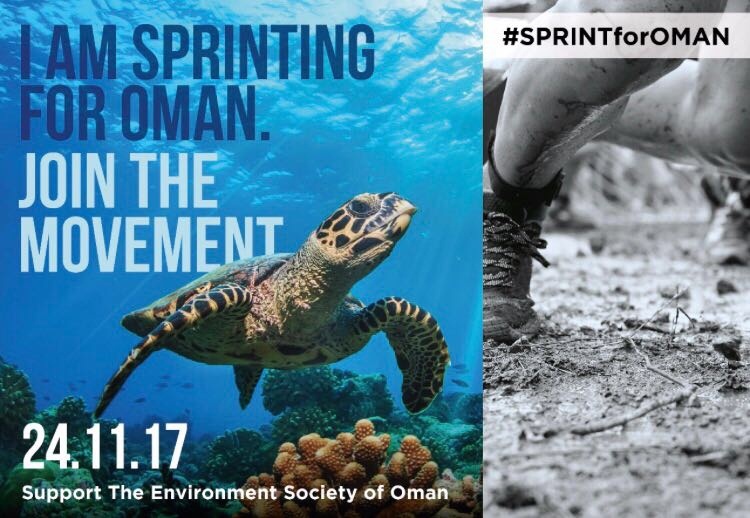 The Spartan Race is coming back to Oman on November 24th and a group of volunteers have signed up to #SPRINTFOROMAN. It’s a movement set up by the Environment Society of Oman to help raise funds for their Turtle Conservation Project. If you; a family member or friend are running the Spartan Race this year and wanted to join the movement, find out more on www.eso.org.om or email sprintforoman@gmail.com. You just need to raise RO 2 for every kilometre you run and RO 2 for every obstacle you cross – however, if you raise more than that, great!